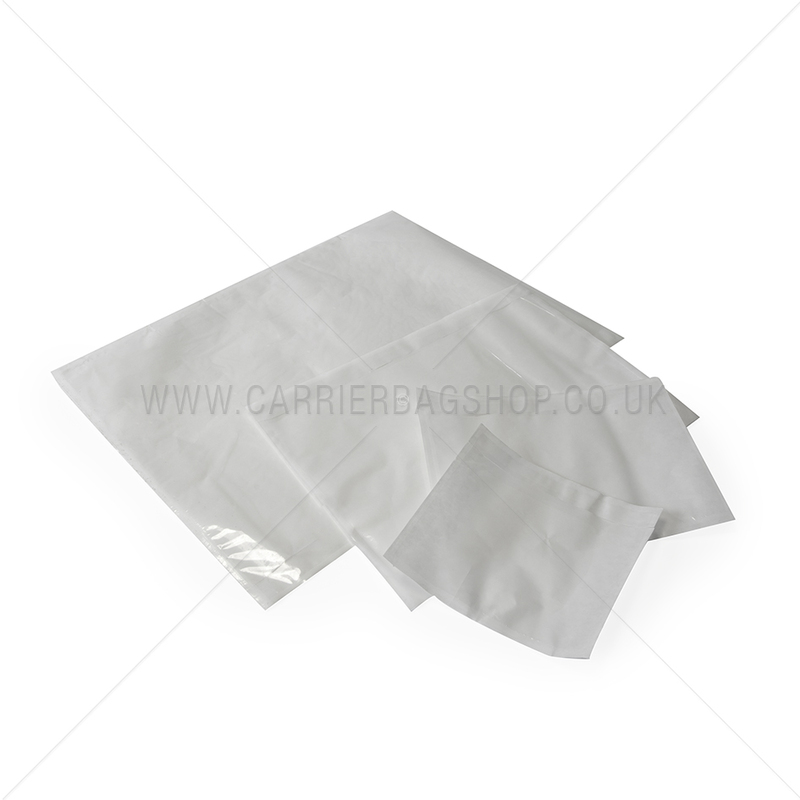 These plain polythene packing envelopes are a real time saver. Used extensively in industry, mail order and busy packing departments to attach delivery notes, invoices or any other document to the outside of parcels and packaging. Self adhesive, water-resistant and quick to apply, they ensure your documents and address details remain clearly visible and arrive with the parcel. Documents remain visible - no need for separate address details. Secure and professional - shipping documents arrive with the parcel. Labels are oil, water and tear-resistant. Bio-degradable plain and printed document enclosed wallets also in stock. Generous quantity discounts - buy more, spend less.